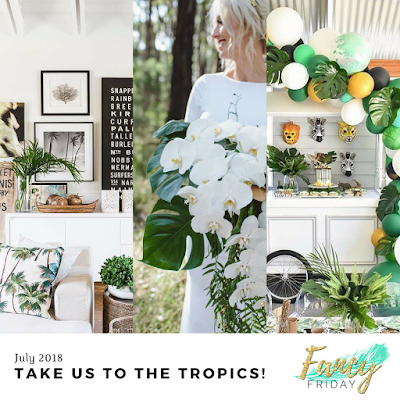 Welcome to this month's Fancy Friday Blog Hop!! We're a group of past and present Stampin' Up! Artisans who love to bring you inspiration. This month we're getting tropical with a handful of fun stamp sets from the Annual Catalogue. Perfect theme for me as a I dream of warmer weather now that we're on the downward slope towards Spring! We hope you'll get creating too. I've seen a lot with the Tropical Escape suite, which is one of my tippy top faves in this catalogue, so I cranked it out to try something a bit different with it: A boy-themed birthday layout! Perfect with the tiger on his top don't you reckon? Page layout inspiration: Suse Fish. Next up is my wonderful friend Lauren Alarid! 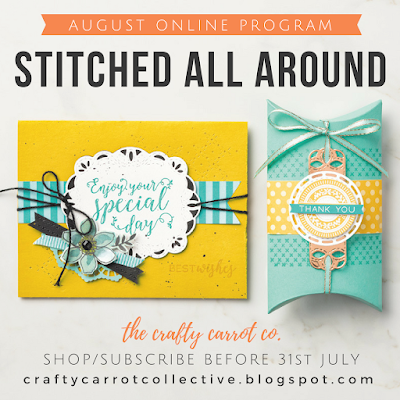 Join us for a month of awesome Artisan-quality classes this August! Oh Susan, you have the most adorable family! This little guy is adorable. What a great photo and fabulous scrapbook page! Hugs to you! This is totally perfect for a boy themed birthday layout! It's so interresting how different stamps/dies take on a totally different look simply by just being used in a different color. Your page is amazing! 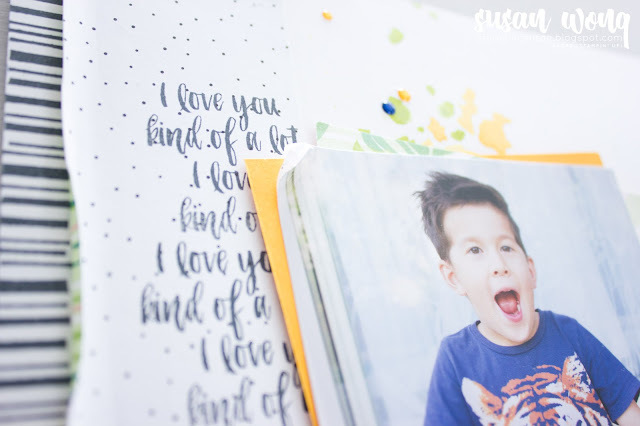 Love your scrapbook page! such a clever use of the tropical suite. Gorgeous son and that cake looks really good too :) thanks for sharing. I so need to play with my SU goodies and make a page, only ever made cards with them. You know I’m a sucker for your pages and this is no exception! Every perfect element and detail is jaw-dropping gorgeous, and that Mango Melody is the perfect touch!